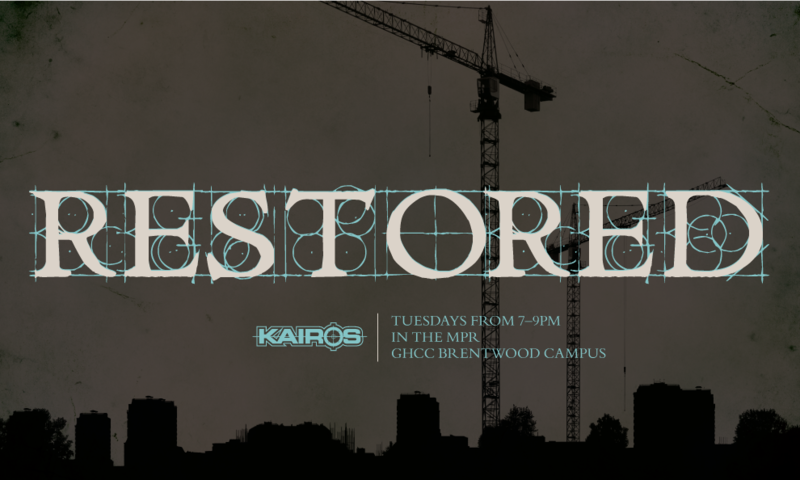 Restored is the Fall theme for Kairos this year. 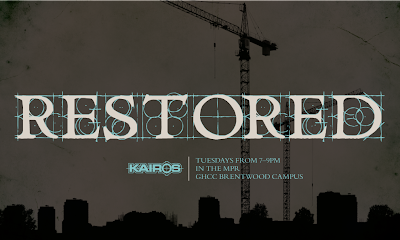 We really wanted to show construction or a work in progress in the artwork so I went very literal with the design since we have not done anything like that for Kairos before. The type is called Roughwork, a font I have always really liked. I thought it was a great fit for this project as it was. However, I ended up drawing the letters by hand over the top of it to bring them out more with a different color. I think the effect really helps the title to stand out.